Designing gardens means using plants that will look good throughout the year. Autumn is one of my favourite seasons for colour. The rich yellows, oranges and reds are a welcome sight in the garden as everything else is dying back. 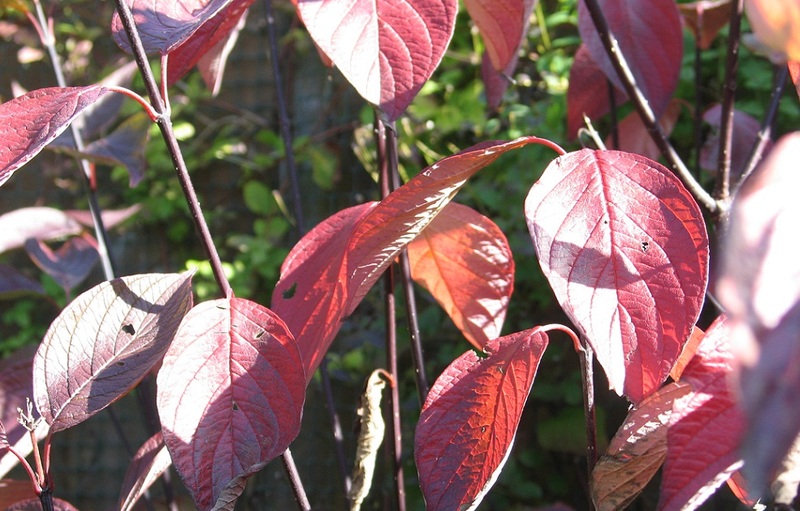 Dogwoods make exceptional plants for winter interest because of their brightly coloured bark. Cornus alba Kesselringii is my absolute favourite and one I like to use regularly in people’s gardens. It’s leaves take on a rich plum colour in October before they fall and expose the black, purple stems underneath. When planted in groups they form an amazing backdrop to all manner of other plants such as witch hazels, hellebores or other dog woods. Living in Hitchin I often like to visit the Botanic Gardens in Cambridge. They have a great collection of dogwood in their Winter Garden that looks beautiful on a sunny crisp day.